This would make me sad, I am a regular patron of the establishment. I used to live on Hague, my property physically touched the back wall of the Garage. I would love this if it meant the performances playing until 2am were quieter. We had no driveway when we bought the house so I tore down a retaining wall and put in a new one that let me put in a driveway to park off street so we didn’t have to park on the street and deal with O’Gara’s drunks stumbling out at bar close. We still moved after a few years because the late night drums from the bands was too much. I want to know how much can be built without special permission by the city? I wonder exactly which part(s) would be torn down? Would this be the full block? Does Neighborhood café and the other stores along Selby need to relocate? These are the properties in O'Gara family control. They bought 1557? Huh. I knew they owned 1559 when I lived there. The O’Gara’s cook lived in 1551 when I sold 1557 to one of the family members of Bailey’s Nursery back about 16-17 years ago. Not to dismiss the noise that neighbors must have experienced (and still probably do), but I fear this likely means the death of yet another live music venue. Park Liquors is zoned T2, but everything else there is RT1. I don't know how much appetite there would be to rezone those parcels so soon after the South Snelling study. 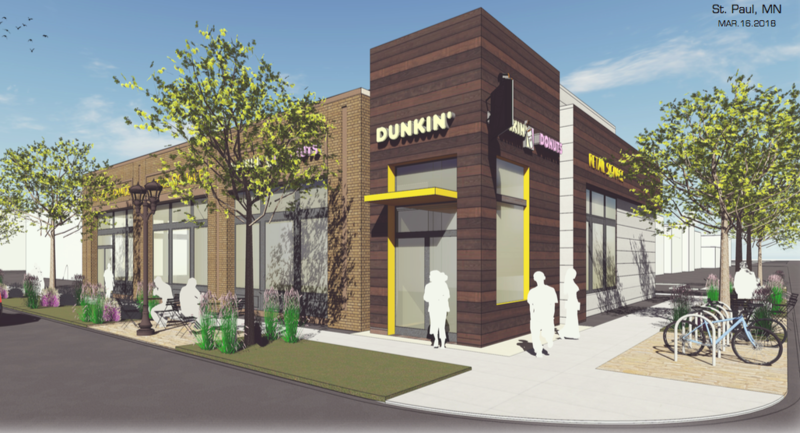 This sentence: "There’s a new Dunkin’ Donuts being proposed for Snelling and Hague" was in this article: http://www.citypages.com/news/a-st-paul ... /479469783 . Is that related? The 3 of the houses in the O'Gara's development are also RT1. There's nothing to stop them from asking. Also of note, Ryan Companines will be at the UPDC Land Use meeting on Monday to continue the discussion. I'd expect at a minimum a massing study, but hopefully more. And a Red's Savoy too. The neighborhood asked for more density- QA below. The timing on this might be interesting, if there is a proposal in the works for the Park Liquors site. St. Paul is considering eliminating all parking requirements on and around Snelling, similar to what was done on University. The DQ site's developers were adamant that the lack of the house behind the site being willing to sell eliminated the chance for underground/structured parking to meet the requirements (by the city or perceived need). 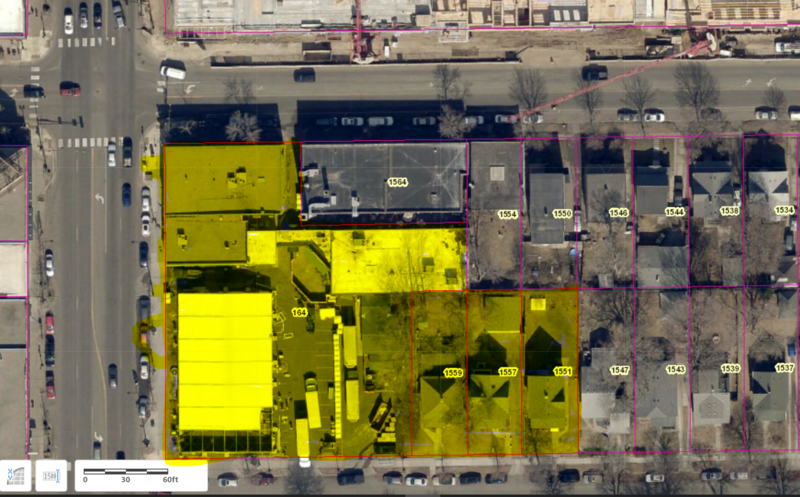 The Park Liquors site must be similar in size, although if the neighbors adjacent on Hague/Snelling are open to a sale, the parking may allow some height and less/no surface parking. The O'Gara's development will make this an even more obvious target for redevelopment. oh, yeah- not related to the other Hague properties. I have heard that Park Liquors was quietly for sale in the past. If Park Liquors is redeveloped, where will underage Macalester students buy their alcohol??? Haha, I had the exact same thought. The only reason that place stays in business, would be my guess. I wish Dunkin Donuts would open some locations in downtown Minneapolis. Just spent a week on the east coast and I'm already missing it. Starbucks is just about the worst thing ever, it always tastes burnt. Guess I'll be spending more time in St. Paul. We have Dunn Brothers and Caribou and Peace Coffee and Penny's and whatever other non-Starbucks options. That parking entrance on Snelling is bleh.